Basic Data Formatting provides an easy way to append or prepend acquired data with custom values or keystrokes before passing it to an Output Plug-in. It also permits the conversion of data to hexadecimal format. If the Basic Data Formatting is not enabled, captured data is passed to the selected Output Plug-in without modification. Send data - allows transfer of the captured data to the associated application when it comes to the foreground. Enabled by default. 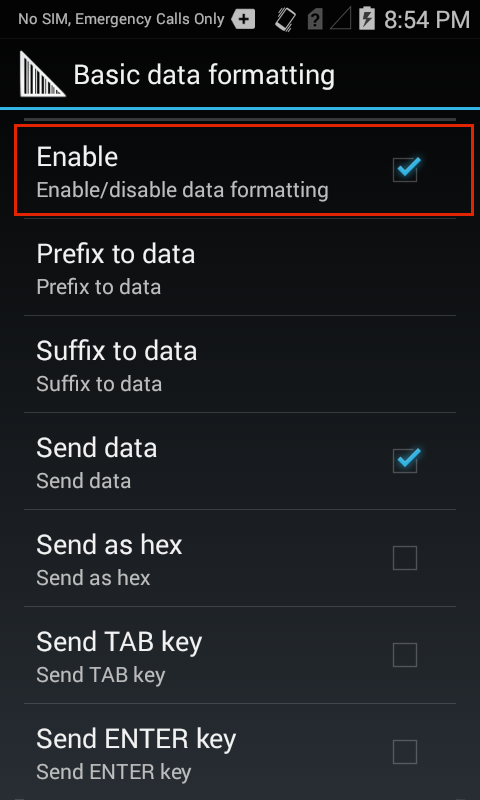 Note: Disabling this option prevents only the captured data from being transferred; any prefix and/or suffix strings will always be handed to the associated app(s), even when this option is disabled.